For the past two decades, a series of distant media corporations has owned Vermont’s Brattleboro Reformer, Bennington Banner and Manchester Journal. Next month, that’s set to change. 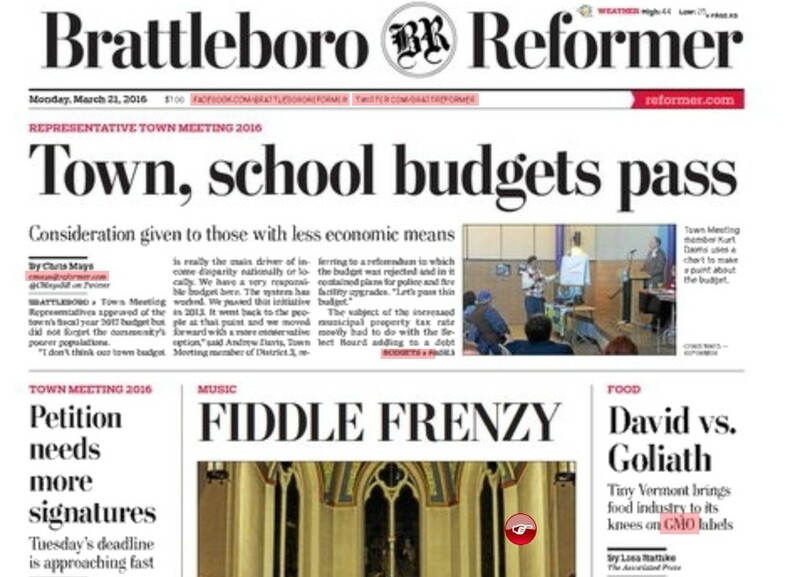 The papers announced Thursday that a group of Stockbridge, Mass., residents plans to buy New England Newspapers next month from New York-based Digital First Media. The sale includes the buyers’ local paper, the Pittsfield, Mass.-based Berkshire Eagle, along with the three Vermont properties. “For local journalism, for local readers, for community newspapering, it’s like winning the lottery,” said Kevin Moran, vice president of news at New England Newspapers. The new ownership group, called Birdland Acquisition, includes three Stockbridge residents: former VISA president John “Hans” Morris, former Pittsfield District Court judge Fredric Rutberg, and M&T Bank chair and CEO Robert Wilmers. Former Buffalo News publisher Stanford Lipsey is also part of the group. In recent years, Digital First Media has slashed jobs at the Reformer, Banner, Journal and Eagle. But the new owners have pledged to make a “substantial number of new hires” in those newsrooms and throughout the business, according to a press release. They said Moran, publisher Ed Woods and the rest of the staff would keep their jobs. Their first objective, Moran said, would be to “insource” jobs, such as design and production, that had been farmed out to other Digital First Media entities. Disclosure: Paul Heintz worked for the Brattleboro Reformer from 2007 to 2008.